More Punch And Bite In A Kick Drum Library Than You Can Handle, Turbo Kicks! After the big success of “Turbo Risers” we thought we would do the same thing to the kick drum sounds of today, push them to their absolute limit! With copious amounts of hours playing with different waveforms, layers, plug ins, eq’s and outboard we eventually got the sound we were looking for in our kicks…… and then we pushed it a little further. The result is 125 custom created kick drums at the forefront of the clubbing sound with an incredible amount of push and bite. 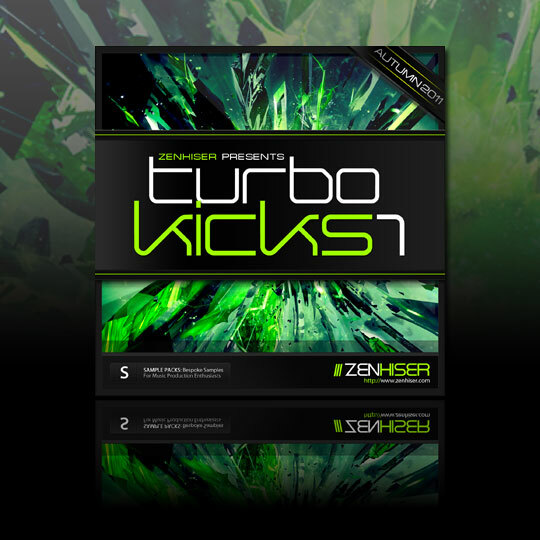 Once we finished the kicks we then sat back, smiled and pushed them further with a + version of every kick, that means “Turbo Kicks 1” has a total of 250 kick samples, offering multiple options to each kick so now you can choose just how much you want to push each kick drum sample.